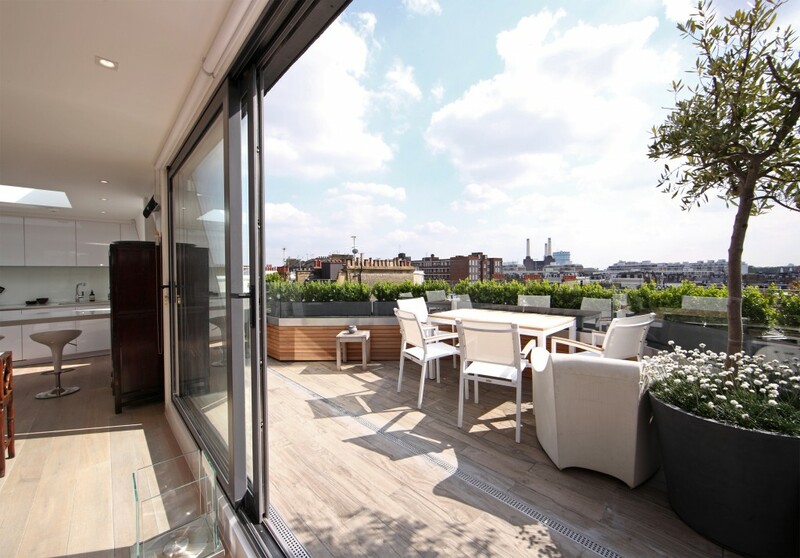 We were asked by the client to produce designs for the total refurbishment of an existing penthouse that would maximise the potential of the existing shell to create an open plan living space and rational sleeping areas. 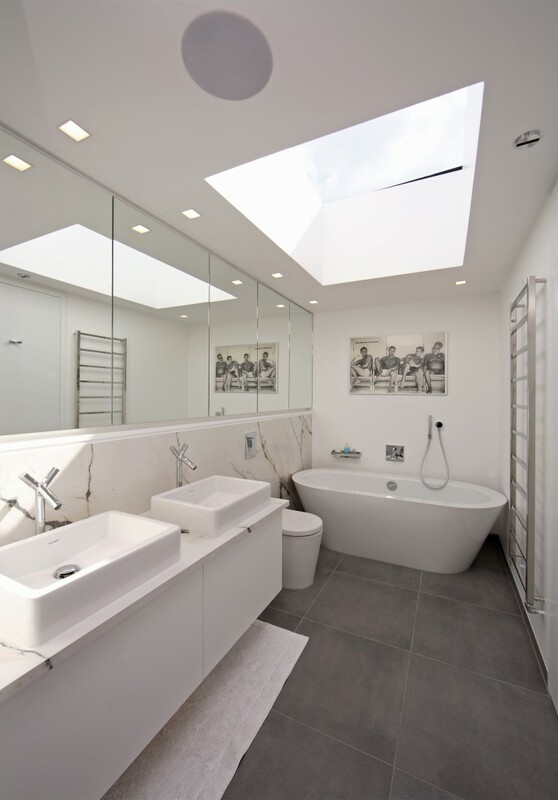 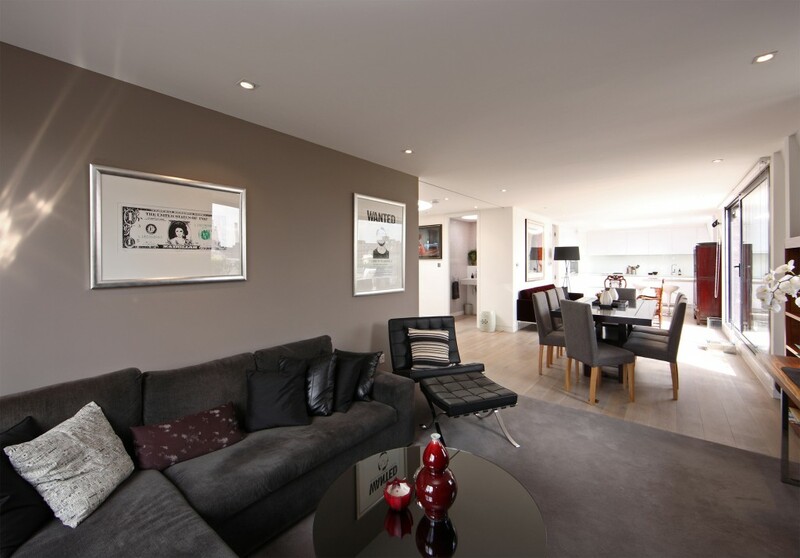 The flat was previously divided into many rooms and did not take advantage of the views or potential natural light from skylights, so all the internal walls were removed and a new layout was created. 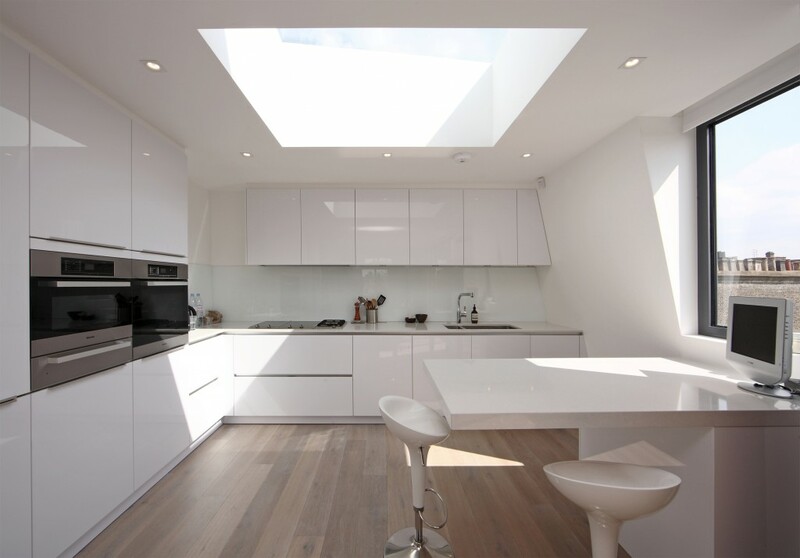 The large open plan spaces flow into one another from entrance hall into dining, living and kitchen, punctuated by large skylights.